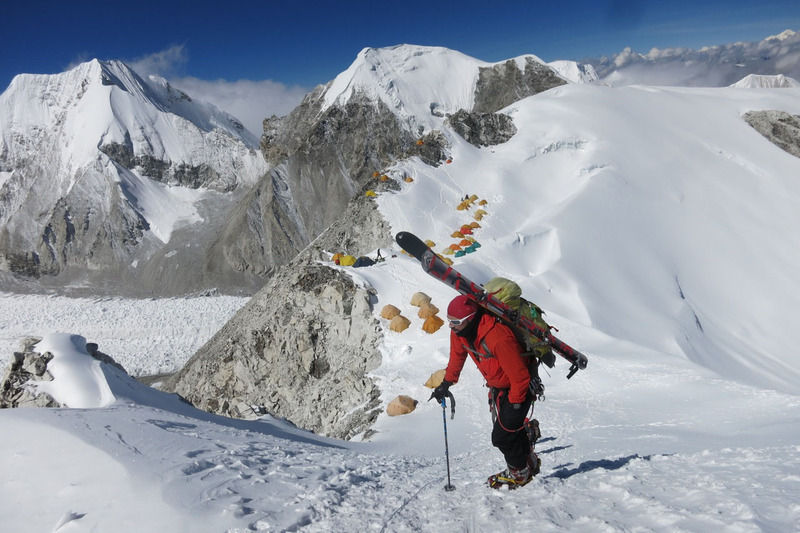 On Cho Oyu last month I helped with the rescue of two badly injured Sherpa caught in an avalanche fixing rope between Camps 1 and 2. 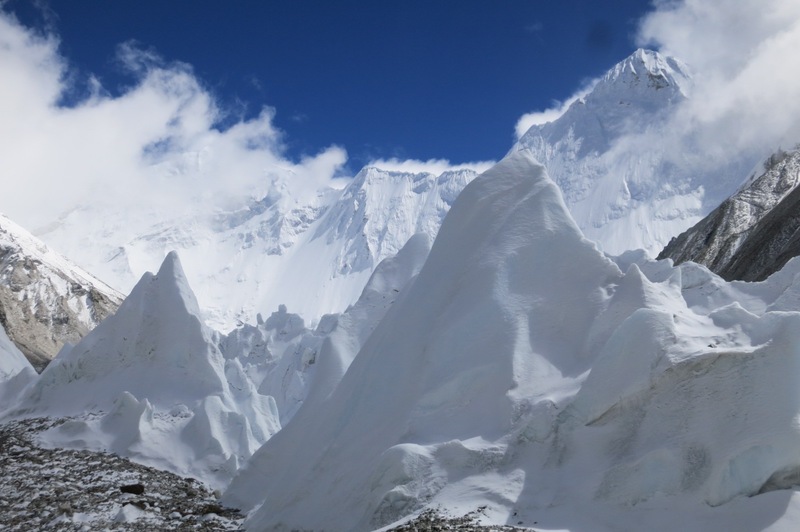 Last week three Sherpa were killed by an avalanche while rope-fixing on the relatively easy 7000-meter peak, Himlung, in Nepal. And this past summer I assisted in the body recovery of two Peruvian high altitude workers killed in an avalanche on Alpamayo while rope-fixing. 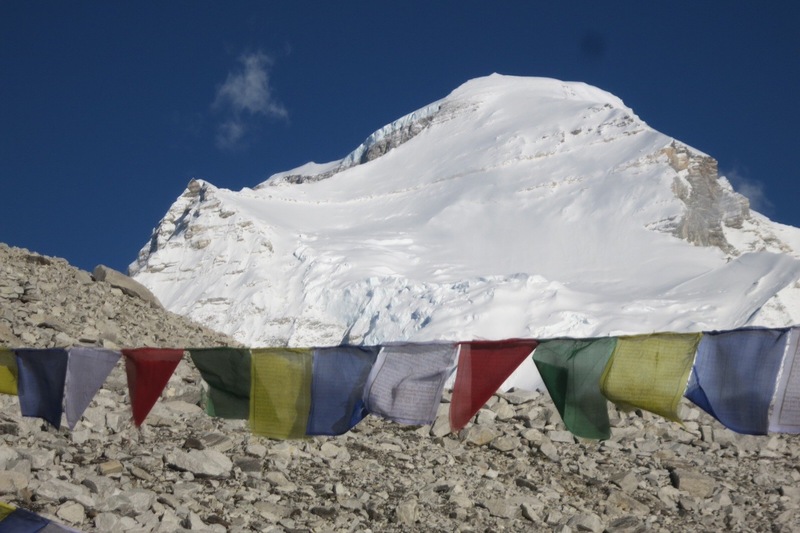 We just got news from our phenom rope fixing sherpa team that they have reached the summit of Mt. Everest. It is a good day, with sun and moderate winds. This means the team has not only been able to summit and string ropes, but has also been improving anchors, and looking at ways to lessen traffic jams on the difficult sections of the route. It’s a great day! It’s 6:30 pm here in Camp 2, at 21,500 feet. Temperatures have been a bit cold for this time of season. That makes mornings and evenings a bit hard to leave the comforts of either a sleeping bag or our heated C2 hangout dome. And it means this will be a short blog post before we turn the heat and wifi off!